You can't add cars to the unpacked version. That's definitely not possible. But you can play the game without steam. Just copy the hole gamefolder (steam/.../steamapps/common/tdu2) elsewhere, unpack that folder, setup the universal launcher appropriately and play with that one without steam-checking. I have a quick question, could it be that if you replace the unpacked files to the original game location steam woldn't let you start the game because it's been modified and so they may think it's....I don't know hacked maybe. Hi everybody, first, I want to thank you about this websit, it's really impressive !! I have an issue with TDU2 unpacked and so I hope that I post it at the right place in the forum. My issue is simple : When I unpack the game, everything is OK, I manage to install car mods, no problem. But, When I play the unpacked game version, with or without mods, my game freezes all the time. When I play, the image stops during about 1 or 2 sec. It's impossible to play !! With the non unpacked version, I don't have this problem. It's not my PC (ASUS ROG), I have try to change the installation folder of the unpacked game on my SSD disk, but it's the same... I use TDU2 universal launcher. My game version is the v034 build 16. Have you any ideas about this problem ? Sorry for my bad english !! OK, thank you, I'm on win 10, and before I was on 8.1 and I had not this problem. this guide is stell relvent ill assume and ok to use with windows 7? Hello, sorry for my stupidness. I've installed rim mods for TDU2. Got everything setup, but... I've pasted my rims in TDU2UNPACKED/Euro/bnk/Vehicules/rims/Toyota/ << Here i pasted them so i can use them for my Toyota. Got inside the game to the car dealer. Can anyone help me, thanks. 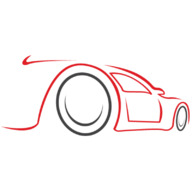 @Refusinq: It is necessary to change the saved rim file name to the file name used by the vehicle. I think that you should study the use of [URL='https://forum.turboduck.net/threads/tdu2vpe-release.32907/']tdu2vpe[/URL]. You can reset the file name of the rim to use. As an example of using tdu2vpe, I think that [URL='https://www.youtube.com/watch?v=g6ET9MiAR5c&t=50s']this link[/URL] will be helpful. 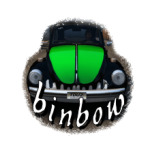 [quote name='binbow']@Refusinq: It is necessary to change the saved rim file name to the file name used by the vehicle. I think that you should study the use of [URL='https://forum.turboduck.net/threads/tdu2vpe-release.32907/']tdu2vpe[/URL]. You can reset the file name of the rim to use. As an example of using tdu2vpe, I think that [URL='https://www.youtube.com/watch?v=g6ET9MiAR5c&t=50s']this link[/URL] will be helpful. [/QUOTE] Thanks alot! I tried alot of times with tdu2vpe but didn't work out. The tutorial worked thanks.